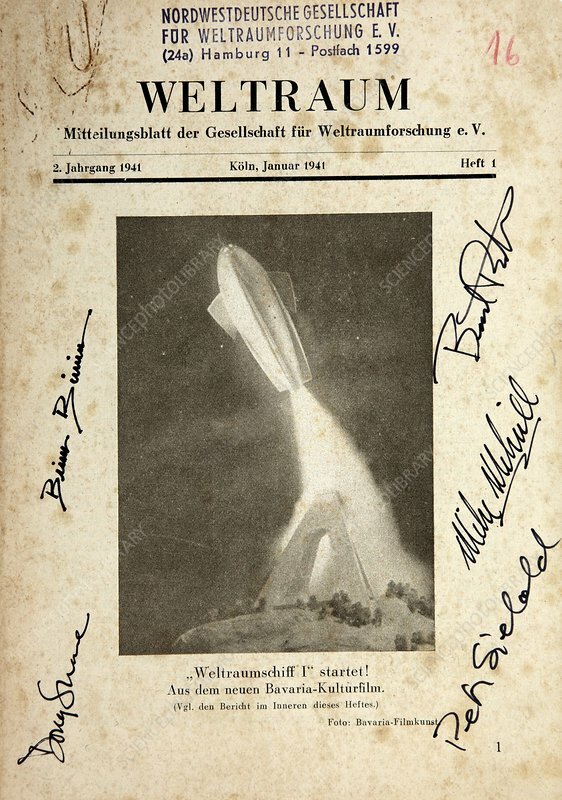 Poster for the 1937 film 'Weltraumschiff 1 Startet', or 'Spaceship One Launched'. Written and directed by Anton Kutter (1903-1985), the film depicts a space flight to the moon set in 1963. It presages the Apollo 8 mission of 1967, when four US astronauts orbited the moon. The poster is signed by the first four private astronauts of SpaceShipOne, which first flew on 20th May 2003, and the spacecraft's designer Burt Rutan (born 1943).